A positive attitude goes a long way with Dr. Keval Patel. His friendly nature will surely make all your fears go away. Our doctors and medical staff are here to serve you — get in touch and take advantage of our wide range of services! 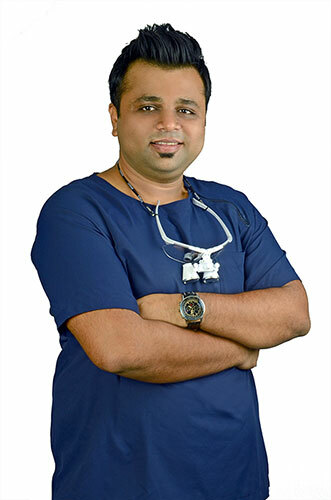 Dr Keval completed his graduation from the prestigeous institute College of Dental Sciences , Davangere ,Karnataka in 2010. He has completed his internship from gevernment Dental College , Ahmedabad in 2011. Dr Keval completed his post graduation in Orthodontics & Dentofacial Orthopaedics from Pacific Dental College , Udaipur in 2015. He has done specialization in Wilcodontics, Self Ligating braces, and Lingual braces. He is author of many articles in national journals. He is working in the field of dentistry for more than 7 years and contineously updating hisself. After completing his post graduation Dr Keval has been working full fledge on Self ligating braces, clear aligners , wilcodontics ,lingual orthodontics, ceramic braces and conventional metal braces. If you’re looking for kindness and compassion, then let Dr. Jinal Patel manage your wellness and healthcare. From a basic consultation to diagnosing and treating ailments, stop by and see how we can help you. Her calm and gentle nature has made her popular among patients and she has received the multiple compliments regarding least painful handwork. Dr Jinal completed her graduation from Pacific Dental college in 2013. She is certified Implantologist by Vardan Institute and have placed multiple implants since than. She has special interest in implant supported over dentures, all on 4, ridge augmentation , Indirect sinus lift, bone grafting, and PRF. She is also practising general dentistry . Smile design , esthetic fillings, root canals, full mouth rehabilitation, dentures are her field of interests. She is very good with children below 8 years and creates magical bond with every child. 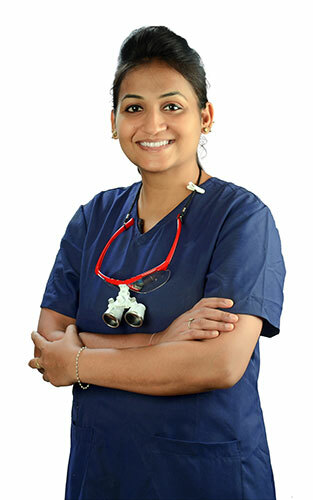 In private practice she has experience of handeling all kind of patients for last 5 years .